Welcome to our Web Site! If you take the time to browse through our pages, you will be able to view a small sampling of the quality remodeling projects produced on our job sites completed throughout the North Hills area of Pittsburgh, Pennsylvania. Owned and operated by Brian T. Johnston for over 35 years, there are more jobs and projects than these pages can display. Let us help you get your project off the ground by giving us a call. We have many customized options not found here on our site. The quality of our work is evident in every small detail and has been recognized with six awards. 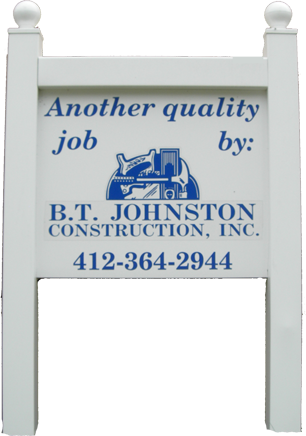 We are a fully insured, registered company in Pennsylvania. We are committed to providing you with exceptional service to help your dream come true. You will enjoy our work for years to come!